Hello, My Little Shoebox friends! I'm happy to share 2 of my latest MLS layouts. Today's projects are all about teen adventures. My sons love hunting and four wheeling. It's difficult to convince them to pose for pics these days, but they were all smiles on this outdoor adventure. 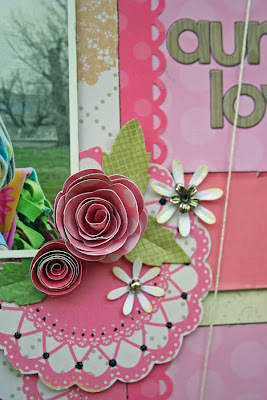 I combined fabulous products from these MLS collections: Oh, Deer and Vintage Shop. 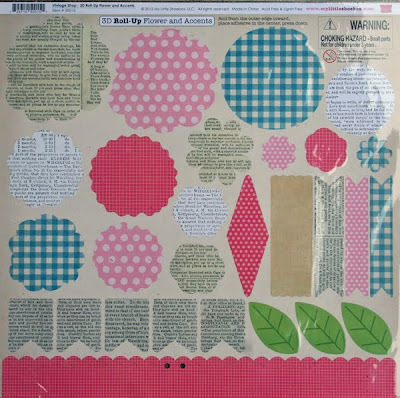 Also included: Want2Scrap chipboard, Tsukinko Ink, Beacon Adhesives. What is more wonderful than a school dance? 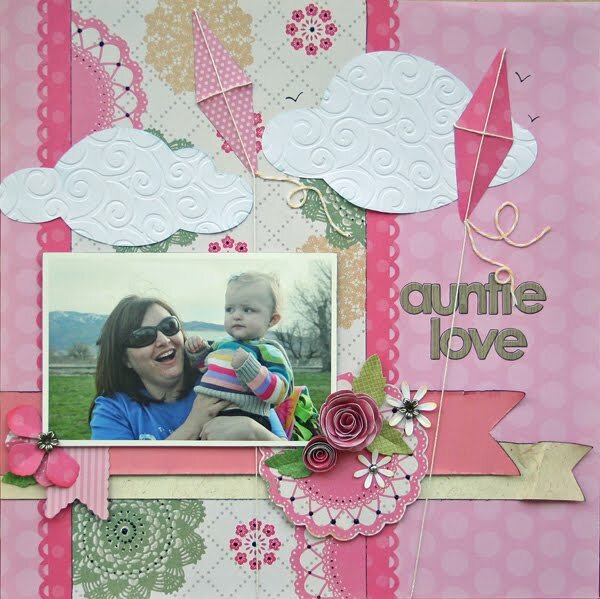 The MLS collection "Cherry Delight" was perfect to showcase this special event. 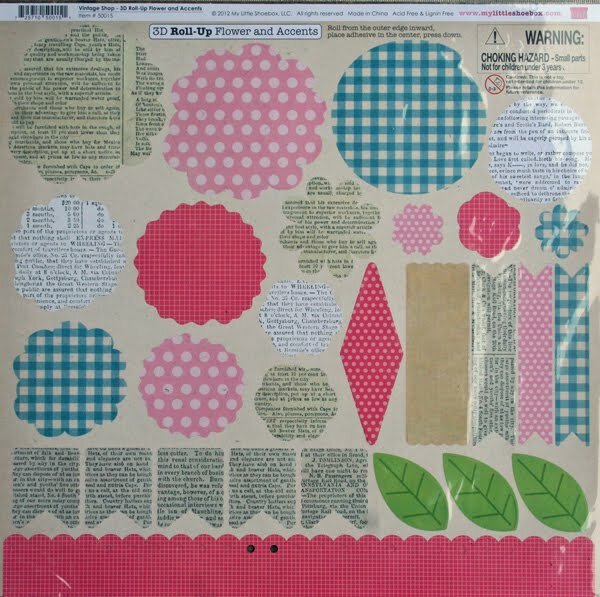 Also included: Want2Scrap bling, Tattered Angels glimmer mist, Tsukineko ink, Beacon Adhesives. A huge thank you to Helen Chu and My Little Shoebox for allowing me to serve on the design team for the past 2 years. It has been a wonderful experience. I LOVE MLS paper products and have enjoyed every moment of creating with this amazing team! I used the Cherry Delight collection to create this album about a recent family trip to our local Ikea. We went to our local Ikea to get a giftcard and ended up staying there longer that we had expected. I was of course soaking up all of the inspirations and the family looked forward to the food we were to enjoy at the cafeteria. Over this “stop at Ikea” errand became a day filled with new adventures. Some of the papers have bold design to I made sure that I matted my photos with white cardstock to make them stand out. 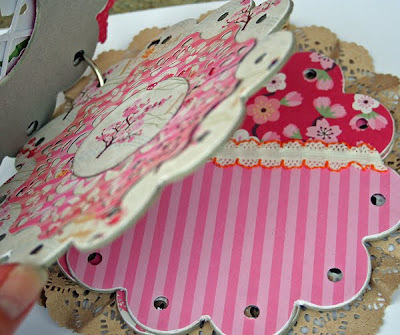 I had fun sprinkling some of the rolled up flower die cuts all over this project. 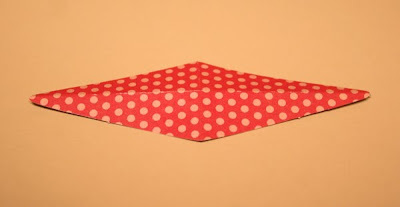 They truly are a unique way to add your handmade touch to your projects. I finished them off by adding buttons and rhinestones to the centers. 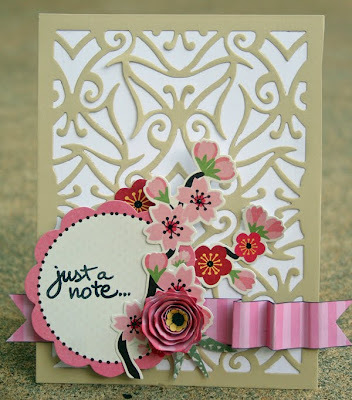 I used a journaling block that had the floral accents already printed on it making for this card easy to put together. 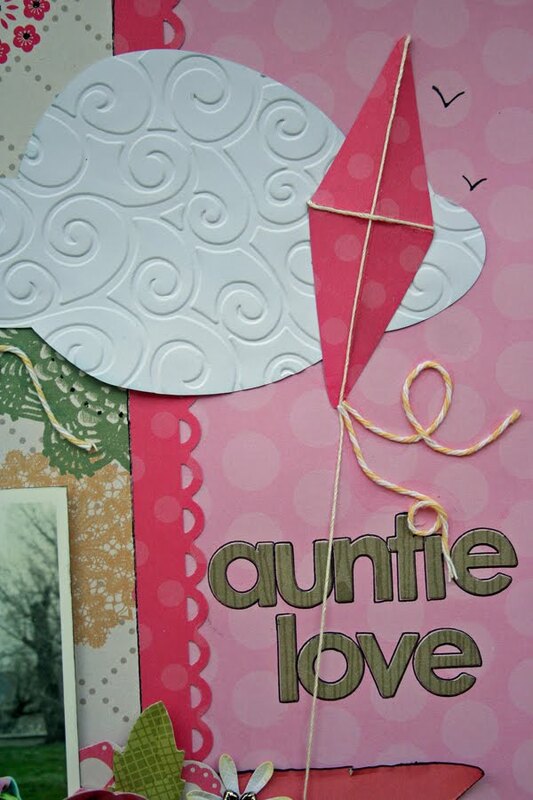 I also think that by using a die cut scallop border and stickers made the process of making this card quick and easy. this might be familiar to some of you cause I used this for the recent My Little Shoebox and Unity Stamp blog hop. 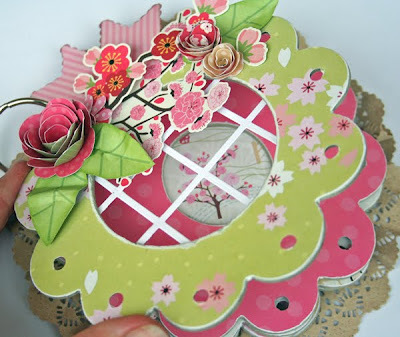 I stamped the Japanese girl stamp on three different papers and then cut out parts of it and then layered the design on top of each other to create dimension and color. I added some glitter on the hair and hair piece accent to create some shine on top of the stamped girl’s hair. Thank you for joining me today, happy creating. Hello MLS fans! Liz here today and I am excited to share a few projects that I made using the new Cherry Delight collection. 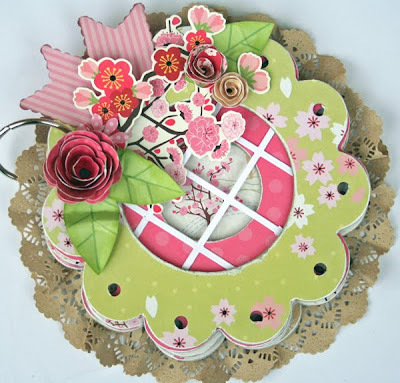 I created and covered this flower chipboard mini album with all sorts of Cherry Delight goodness. I treated the cover with a window die cut and dressed it up with Cherry Delight stickers and 3D Roll Up flowers and leaves. Hello My Little Shoebox fans! Here’s Monique today with two fun projects: a layout and a photo frame, both using the brand new “Cherry Delight” line. As red is my favorite color, I had so much fun working with this line (but to be honest, I adore working with every line of My Little Shoebox!). Let me start with my layout. I created a page of my adorable little niece. I love to use the 3D Roll-Up Flowers, not rolled-up but stacked on top of each other. Then on to my next project: When I was having my lunch break I strolled through the city centre (where I work) and found this cute photo frame in the shape of a house. I knew straight away what I was going to do with it!! I’m really happy how this turned out! Supplies: Cherry Delight: Charming (50001), Happy Times (50004), 3D Roll-Up Flower and Accents (50005), Cardstock Sticker (50006), Mini Alphabet Stickers (50151 – Kiss). 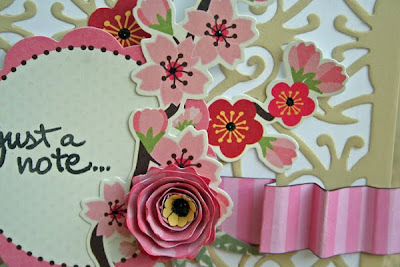 Thanks for stopping by My Little Shoebox’ blog today! Hi My Little Shoebox fans! 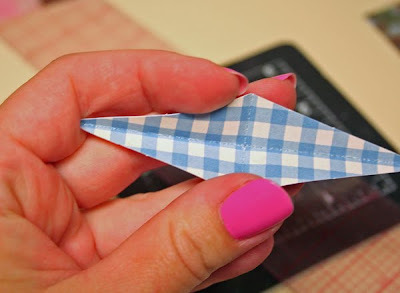 The cute diamond shaped pieces remind me of kites so that's what I decided to make with them. 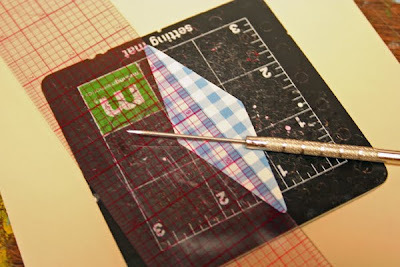 With a sharp tool, score a line through the middle, from the top to bottom and from both sides. Summer 2012 collection reveal week starts today! Hello MLS fans! With CHA only two weeks away we are busy getting everything ready to exhibit at the summer trade show in Chicago! Helen is so excited to share her 2012 summer collections with you all that we just can't wait so all this week we'll be revealing a new collection each day. We've got giveaways too! Leave a comment on each reveal post and on our Facebook wall telling us your thoughts about each release and you could win our collections before you can buy it in stores! That's one winner every day for a total of 6 winners! So...tell us what you think!